The Chicago Golf Show all Weekend long in Rosemont. Titleist.com, Titleist the No.1 Ball in Golf, Links & Tee’s golf Dome in Addision, a GRAA award winning facility for the second straight year. The Buffalo Grove Golf & Sports Center, open today for golfers to improve their golf game, stop by before or after the Chicago Golf Show. Call (847)-459-2321 or visit Bgparks.org. SWITCH GRIPS (from the 2015 PGA Show Orlando) By: Rory Spears Editor & Director of Content for Golfersongolf.com. 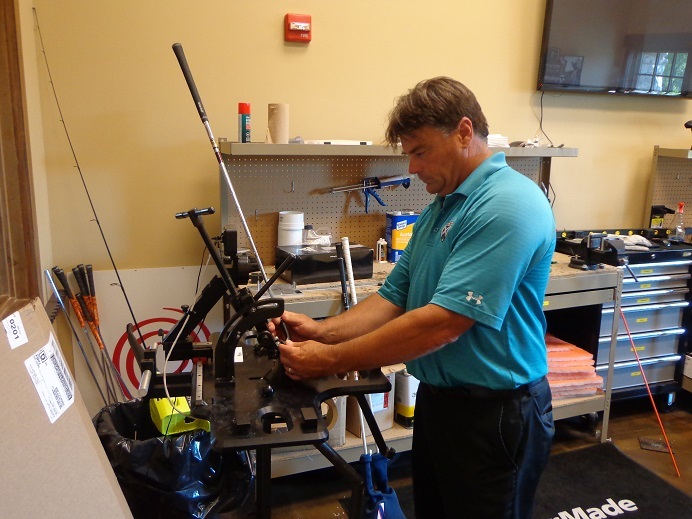 Eddie Rogacki a former tour player has created Switch Grips, the latest in adjustable weights to help improve your golf game. What Switch Grips is, is an interchangeable technology that allows golfers to be able to make changes to their putter grip. Currently Switch Grips is the only interchangeable putter grip that offers multiple sizes. SwitchGrips believe’s that putter grips are not, “one size fits all.” SwitchGrips allows for a repositioning of weight which allows for a more consistent stroke through out your round. In addition to making the golfer a more accurate putter, Switchgrips has three different lines that allow you to have a more personalized look. The Player Line: Offers a choice of color and size. The grip has clean lines with a tacky yet durable non-slip quality. The Leather Line: Highly sough after leathers are long-lasting. Now reintroduced with the new SwitchGrips technology these grips provide and old fashion feel with the highest performance possible. 10 colors are available to choose from. The Exotic Line: Offers the look and feel of pure luxury with the peace of mind of it’s interchangeable capabilities, this is a grip that will never need to be cut off the putter. Players can choose from authentic ostrich, alligator/crocodile, stingray and snake. SwitchGrips does take pride in it’s American roots. All SwitchGrips are made in the USA and fit on any conventional shafted putter. SwitchGrips make great gifts for charity events, the Stingray model comes in Pink for Breast Cancer awareness or charity events. Grips can be designed for special events, or order with your logo or company logo. SwitchGrips offers a line of custom made hats in variety of colors. Click here to hear our interview with SwitchGrips founder and President Eddie Rogacki. For more information on SwitchGrips call (786)-347-0749 or Toll Free at (844)-635-6193 or online at SwitchGripsUSA.com. The Buffalo Grove Golf and Sports Facility is open today for you to work on your golf game, rates start at just $11 for 30 minutes. Hit some balls before hitting the Chicago Golf Show this afternoon, or on the way home from the show. 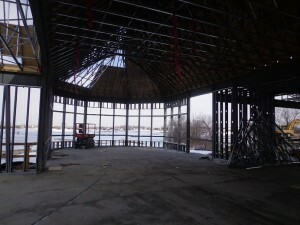 The dome is located on Old Mchenry Road, call (847)-459-2321 for more information or visit bgparks.org. The announcement will be made this morning at the media luncheon at Gibson’s Steak House in Rosemont, across the street from the Donald Stephens Convention Center home of the 32nd Chicago Golf Show. Multiple sources have confirmed the details with Golfers on Golf. The Illinois PGA in conjunction with the Northbrook based Kempersports Management will announce that this years Illinois Open, will be held at the Royal Melbourne Country Club in Long Grove, along with the Hawthorn Woods Country Club in Hawthorn Woods. Both clubs are located just a few miles apart in Lake County, and both are managed by KSM. This year the normal 156 player field will be expanded to over 250 players, thus the need for two courses. Full details on qualifying will soon be posted on IPGA.com. The announcement will be made by Michael Miller Executive Director IPGA, and current IPGA President Jim Opp from the Bonnie-Dundee golf club. Dates for the championship are July 20-22. More details on the 2015 Illinois Open will be posted here, as they unfold. Stay Clicked in. 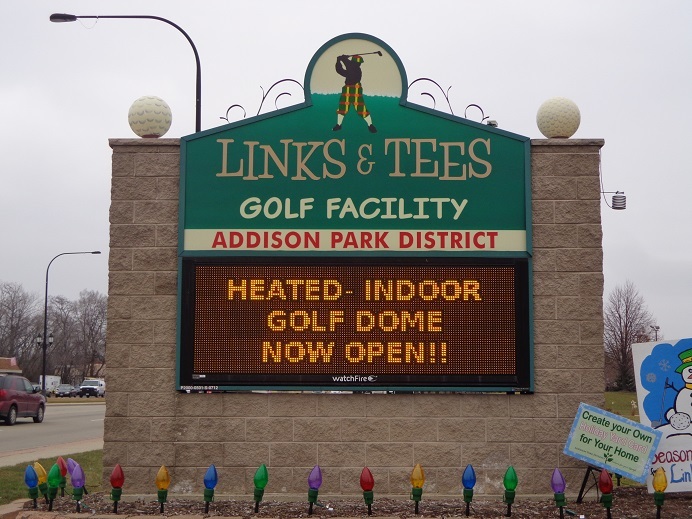 Links & Tee’s Golf Dome on Lake Avenue in Addison, play the outdoor course open in summer. Call (630)-233-7275 Ext.4 or visit Addisonparks.org. Links & Tee’s a full year round golf facility. THE BUFFALO GROVE GOLF AND SPORTS FACILITY, the premier golf dome in Lake County open every day with rates starting at just $11 for 30 minutes. Need work on your short game, head over to the chipping green and bunker area. Grab a lesson as Spring approaches. Call (847)-459-2321 or see Bgparks.org. Located on Old McHenry Road in Buffalo Grove. Golfersongolf.com by Rory Spears, Editor and Director of Content. Follow Rory on FB, Linkedin & Twitter @GogBlogGuy. SEE Chicagogolfshow.com for details about this weekends golf show. Golf Hall of Famer Lee Trevino heads a stellar weekend of golf activities planned for the Chicago Golf Show that starts tomorrow at noon in Rosemont, at the Donald Stephens Convention Center. Trevino appears at 11 Am and 2 Pm on the main stage on Saturday, at 11 am he will be joined by his friend and fellow Hall-of Fame inductee David Graham. These two golf personalities are expected to bring some great humor from their days on golf’s professional tours. Between the two players they have 8 major championships between them and 37 PGA Tour wins. 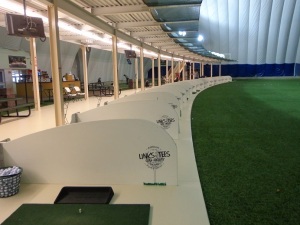 An award winning tradition, the Links & Tee’s Golf Dome 880 West Lake Avenue in Addison. Rates start at just $12 for 30 minutes. (630)-233-7275 Ext 4, See Addisonparks.org. The Encompass Championship is the presenting sponsor for the golf show, the championship will give away, one free ticket to the first 1,000 fans to attend the show each day. Everyone who attends the show can receive a free round of golf from the Billy Casper Golf Company, who manages 23 golf courses around the Chicagoland area, which include 11 Cook-County Forest Preserve-owned courses and seven Chicago Park District Courses. 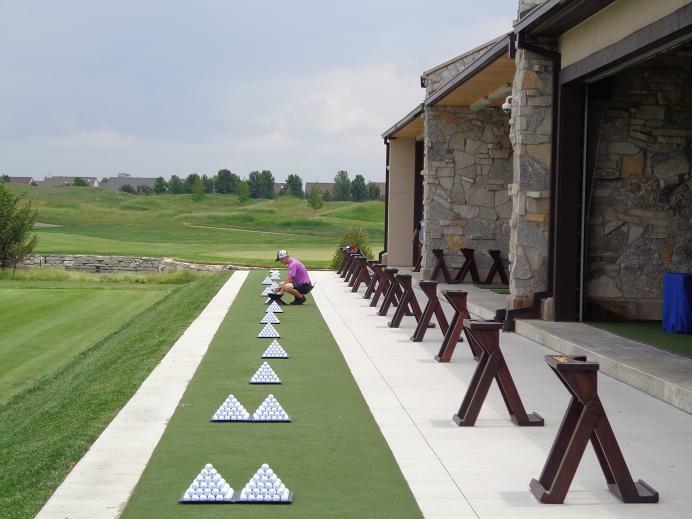 Golfers can get a FREE one-on-one lesson from an Illinois PGA professional. There will be game improvement seminars on the main stage, where highly rated teachers can help you be a better golfer in 2015. The Illinois Junior Golf Association (IJGA) will provide information on it’s activities for the year ahead, and host the popular scavenger hunt for younger golfers. The show is considered the nations oldest consumer golf show, and had over 17,000 attendee’s come through the doors last year, over a three-day period. Hours for the show are Friday Noon-7Pm and admission is $5. Saturday is 9:30 Am to 6 PM and Sunday is 9:30 to 4 PM, admission on the weekend is $10. Kids under 12 are free, ages 12-15 are just $4. More information visit Chicagogolfshow.com. or follow the show on FB or Twitter. The Buffalo Grove Golf and Sports Facility on Old McHenry Road in Buffalo Grove, open today with rates starting at just $11 for 30 minutes. It’s time to get that spring lesson from Todd Sones, or the other teachers in the dome. Call (847)-459-2321 or see Bgparks.org for more information. Special rates for juniors. Golfers on Golf attended the PGA merchandise show last month in Orlando. Our feature below is another story from the show about new or improved products. For 2015, Titleist has improved the Pro V1 and Pro V1x golf ball. The newly improved ball offers the golfer both long distance and consistent ball flight. Titleist announced that the ball will produce more short-game control, with a softer feel and longer lasting durability. Titleist Pro V1 and Pro V1x golf balls. In 2015 the Titleist Pro V1 and Pro V1x golf ball will see more improvements that will keep it the leading golf ball in the industry. It was October of 2000 when the original prototype Pro V1 appeared at a PGA Tour event, the Invensys Classic in Las Vegas. 47 players started using the ball that week. 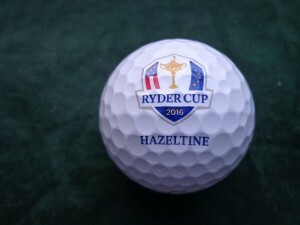 Within just four months the ball became the best selling golf ball in the marketplace. The Pro V1x that came into play in 2003, and the Pro V1 have been the most played golf ball at every level of competitive golf ever since. The Titleist Golf Ball R & D and operations teams, have a combined more than 20,000 years of golf ball-making expertise, they continue each day to make it even better for the next wave of golfers that come along. The new Pro V1’s are now available in golf shops around the country, and have been since Jan.30th. Click here to hear our interview with Titleist VP Mary Lou Bohn, on the new Titleist Pro V1 and Pro V1x golf ball. Bill Morgan Sr. VP of Titleist Golf Ball R & D says,” you can’t just point to one or two things.” when asked what sets the Pro V1 apart from other golf balls on the market. Morgan says that the original Pro V1 in 2000 was “revolutionary” but the R & D team has learned a lot in the last 15 years, and calls the current version of Pro V1 the best ever made. Titleist uses many amateur golfers of all skill levels to test out the balls even before they hit the market, looking for feedback. Since the new Pro V1’s were passed out to PGA Tour players last October, over 100 players have put them in play. Titleist players like Jordan Spieth and Jimmy Walker have recorded victories with the new Pro V1 already. Bubba Watson, Padraig Harrington and Charley Hoffman have already won with the new Pro V1 models. What’s different between the two balls. Pro V1 has a softer feel, slightly more long game spin and a more penetrating trajectory for a shallower angle of descent for more roll than Pro V1x. Pro V1 is a three-piece, multiple component technology with a very soft compression ZG process core, ionomeric casing layer, softer thermoset urethane elastomer cover, and spherically-tiled 352 tetrahedral dimple design. Pro V1x has a slightly firmer feel and lower game spin and launches higher with a steeper angle of descent than Pro V1. Pro V1x is a four-piece, multi-component technology with a ZG process dual core, ionomeric casing layer, softer thermoset urethane elastomer cover and spherically-tiled 328 tetrahedral dimple design. Cost is MAP $47.99 and the MSRP is $62.00 per dozen balls. For more information visit titleist.com. Links & Tee’s Golf Dome, 880 Lake Avenue in Addison, open today, come get your game ready for 2015. See Addisonparks.org. or call (630)-233-7275 Ext 4. Links & Tee’s Golf Dome 880 West Lake Street in Addison. Open today from 8 AM to 10 PM, fee’s start at just $12 for 30 minutes. Grab a lesson from the teaching team of Molly Baney, John Elliot Jr., Eric Ilic, Ronnie Martin, Sarah Pesavento, or Bill Wadden. Call (630)-233-7275 or visit Addisonparks.org online for more details about special events, or junior or senior dome discounts at the dome. The outdoor golf season might be shut down for the moment with the very cold temperatures we have outside. But it won’t be long before the spring days are here and outdoor summer golf returns. While golfers are keeping warm in the area domes like Links & Tee’s in Addison, the White Pines Golf Dome in Bensenville, the Buffalo Grove Golf and Sports Facility, and MCQ’s in Bolingbrook. The work is continuing at the facilities of McWethy Golf for all-year round golf fun. TUNE IN FOR GOLFERS ON GOLF RADIO ALL SUMMER LONG, Sunday mornings on WSBC and WCFJ AM Chicago. A start date will be announced soon. Mistwood Golf Club and MCQ’s Dome owner Jim McWethy keeps improving his golf facilities. He just doesn’t quit and he doesn’t stand still either and that is great thing for Chicago area golfers. Burr Ridge businessman Jim McWethy hasn’t listened to the critics who wondered about his investment at the Mistwood Golf Club in Romeoville, then he kept moving forward and right into neighboring Bolingbrook when he bought up the facility formerly known at the “Ditka Dome” and turned it into the quickly growing and increasingly popular MCQ’s dome. A few years back McWethy launched a three-phased plan to renovate Mistwood. Phase one was to redo the golf course, McWethy hired Michigan based architect Ray Hearn to come back and renovate the golf course Hearn designed in the 1990’s. Reviews have been nothing short of outstanding. Over 25,000 rounds of golf got played at Mistwood in 2014, even with a late opening from bad weather in the spring. 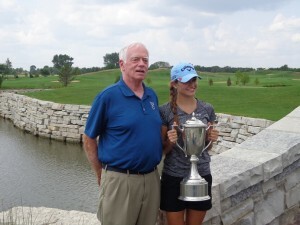 The Phil Kosin Illinois Women’s Open was a success in late July. Jim McWethy with 2014 Phil Kosin Illinois Women’s Open Champion Emily Collins. Phase two of the renovation plan was to take a small practice area, and turn that around into a Performance Center. 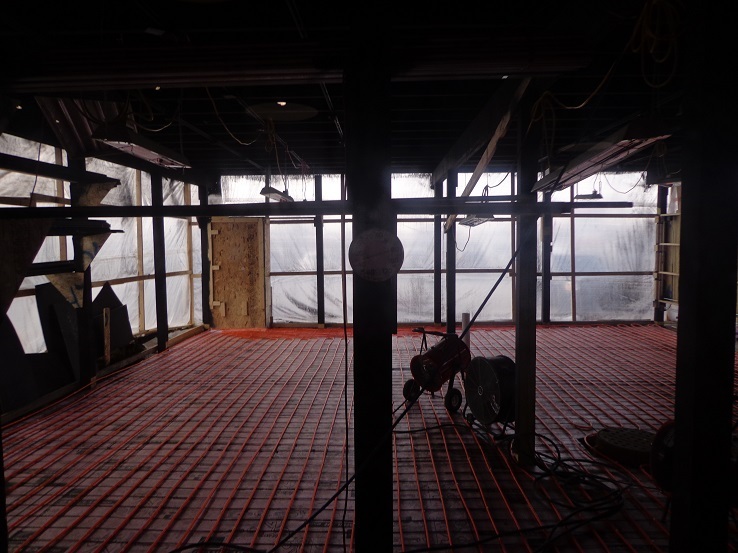 The range area got bigger and better while the performance building rose from the rubble and became the talk of teaching professionals all over the Chicago area. The putting green went from small to tournament size, and the food and beverage area became big enough to handle outings the size of a double-shotgun. 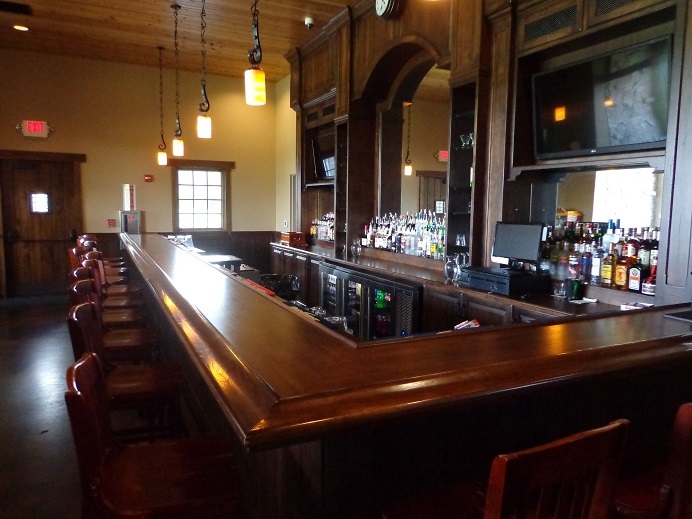 There might not be a place in the windy city where golfers can turn around and walk just a few feet from the hitting line to grab their favorite beverage at the bar. The Mistwood Performance Center is turning in quite a performance in the time since it has opened. Top Left Performance Center Bar, Top Right the Mat-Line behind the natural grass hitting area. Bottom Left front view with putting green, Bottom Right, pro Dan Phillips works in the club repair area. 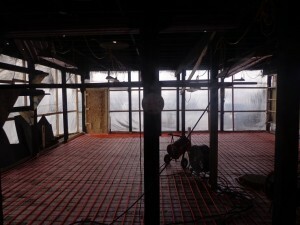 Phase three of the renovation of Mistwood, is the building of the new state-of-the art clubhouse. The new clubhouse work continues. Top L-R Between the buildings is the patio view, the main body work continues. Bottom L-R course view from the bar and restaurant, course view from the banquet area. Changes to the original design will push the planned July opening back into late August or very early September. Either way the final renovation phase of Mistwood will knock the head covers off your clubs when it’s finished. Hang on to your caps and visors too. MCQ’s Dome In Bolingbrook. Being an official Blackhawks bar hasn’t hurt MCQ’s growth, and neither has the OTB parlor. In addition to being a premier indoor golf facility, the MCQ’s bar with the top-notch BBQ menu is starting to pack in the crowds. But that hasn’t stopped McWethy from expanding. The MCQ’s Dome in Bolingbrook has become the place to be. 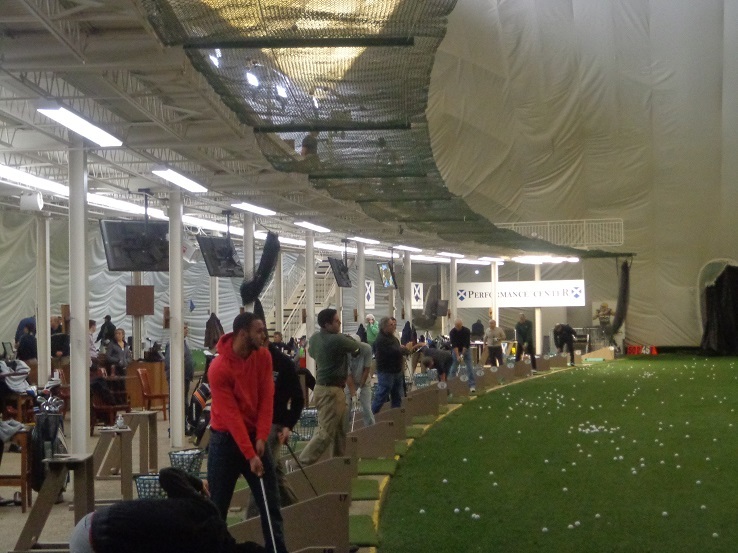 Golfers are filling up the dome all winter long. The Off Track Betting area is getting expanded, make your plans to be there for the Kentucky Derby Day in early May. The backside of MCQ’s is growing as well. 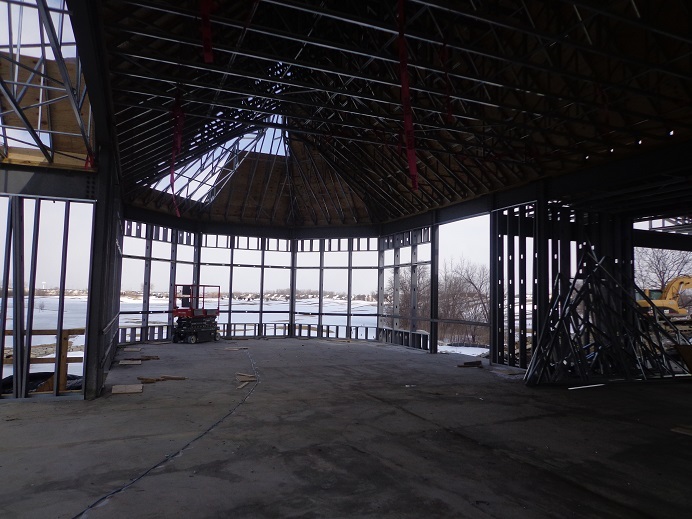 More indoor space as well as an outdoor area for the warm days, will be opening this summer. Golfers it’s your choice. But if your out in the area of Romeoville or Bolingbrook Jim McWethy is inviting you to bring your golf clubs, your taste buds, and knowledge of the horses and put them all into play at Mistwood and MCQ’s. Both places are becoming the place to be when in the southwest suburbs, go enjoy yourself today MCQ’s. 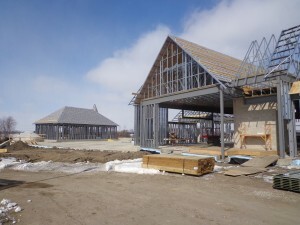 While Mistwood will be open in less than 60 days. 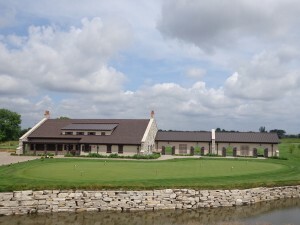 For more information on Mistwood Golf Club call (815)-254-3333 or visit Mistwoodgc.com, on Mcq’s Dome see mcqsdome.com. or call (630)-739-7600. The Buffalo Grove Golf & Sports Center is open today with rates starting at just $11 for 30 minutes. It might be cold outside, but it’s nice and warm in the BG dome to practice your golf game and think spring. All winter long there have been free clinics and more to improve your game. Sign up now for a lesson or two, be ready for when the snow melts. Located on Old McHenry Road in Buffalo Grove, call (847)-459-2321 or Bgparks.org for details. 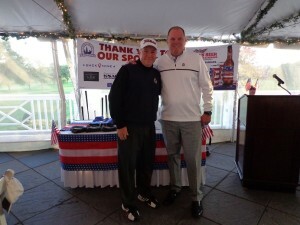 Gog Blog Editor & Director of Content Rory Spears (L) with Westmoreland Country Club Head Golf Professional Hans Larson. 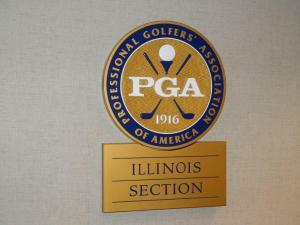 The Illinois PGA Section is bringing not only it’s “A” game, but it’s “I” game to the Chicago Golf Show that opens this Friday at the Donald Stephens Convention Center in Rosemont. Chicagogolfshow.com for tickets and more information. 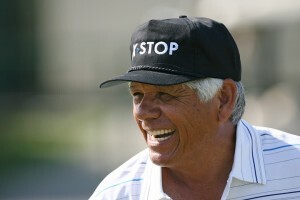 See great Lee Trevino on Saturday 11 Am and 2 Pm. HOF’er David Graham joins Trevino at 11 AM. Yes it’s cold out, barely over ten degrees today outside around town. But you’re about to feel a whole lot warmer inside. That’s right golf season is right around the corner and the Chicago Golf Show tee’s off this Friday at Noon, the courses the resorts the events, the club makers and more have their booths and are getting ready show you what’s up for 2015. Besides the famed Long-Putt contest that has show attendee’s lined up for a chance to sink that first bomb of the year for great prizes, one of the great attractions at the show is the free, yes I said FREE golf lessons by members of the Illinois PGA Section. Why not get a free tip or two in the area of your game that hurts your score the most. 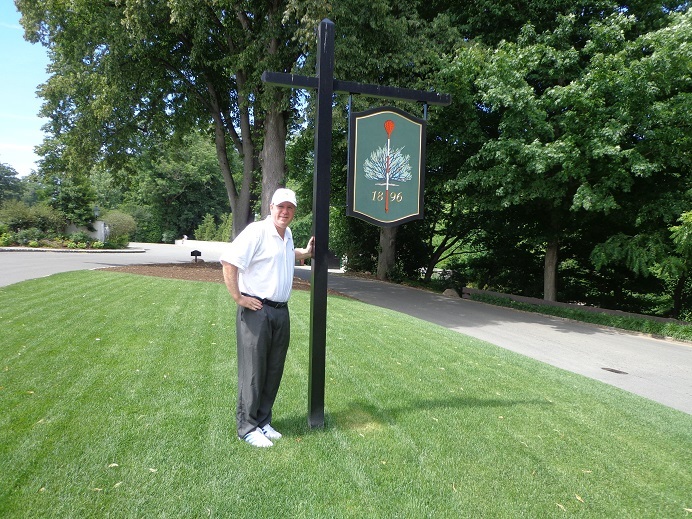 This past weekend I caught up with Westmoreland Country Club’s head professional Hans Larson the Chariman of the IPGA Player Development Committee. Larson was happy to share the news that the “PDC” had added the Chicago Golf Show to it’s list of projects and is bringing a bigger impact to the show this week. Links & Tee’s on Lake Avenue in Addison. Rates start at just $11, (630)-233-7275 for more information. Addisonparks.org. The Illinois PGA professionals will again be donating their time this year to give FREE lessons, and Larson says golfers can get those lessons with new equipment donated by both Wilson and Titleist Golf. Wilson has donated all new range balls for the golfers to hit. Fore-Sight Golf has brought in two simulators and launch monitors. There will be a Closest-to-the-Pin contest all three days, winner will get a FREE Foursome at a local area private club. There will be great activities for the kids, including Birdie-Ball in the junior golf area. The First-Tee of Greater Chicago will be working in the kids area. 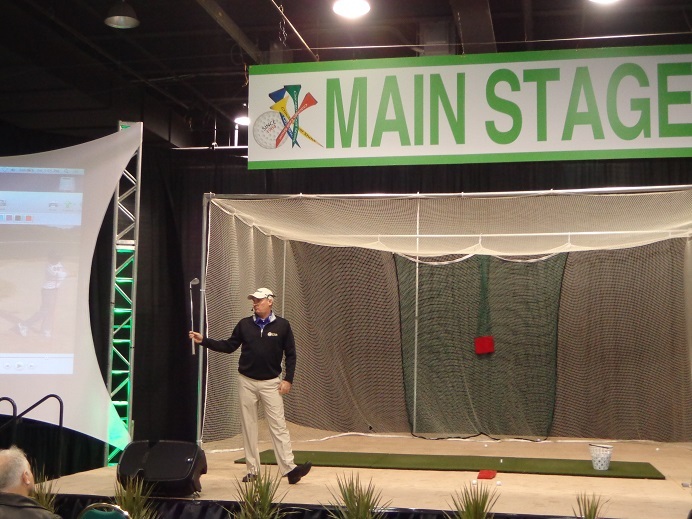 Cog Hill’s Kevin Weeks a top 50 Golf Digest Teacher, teaches on the main stage on 2014. The Illinois PGA will be promoting the new location and format changes to the Illinois Open this July. 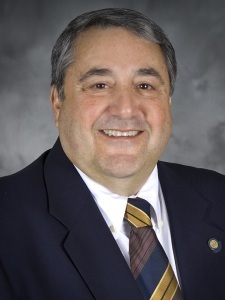 IPGA Executive Director and Section President Jim Opp are expected to make the announcements on Friday morning at the shows media luncheon at Gibson’s in Rosemont. Considering the agreement in place with Northbrook based Kempersports management, and the use of their operated facilities for the open. I am still suggesting Royal Melbourne of Long Grove, and Hawthorn Woods CC in Hawthorn Woods as the two club that should be used this year. But let’s see what the announcement brings. The IPGA will be promoting the PGA Junior Golf League and the PGA promoted Drive-Chip-Putt Contest. The state finals will be played at Medinah CC, and the winners will advance to the national championship at Augusta National Golf Club home of the Masters Tournament. In addition Larson announced a Golf Expo to be held at the Chicago Wolves Game, to be played on March 29th at 3 PM at the All-State arena. The doors will open early that day, and various golf stations will be set up around the arena concourse for kids to try their skills. Look for upcoming details for a golf pro-am with IPGA professionals and members of the Chicago Wolves coming up this summer. The Links & Tee’s Golf Dome on Lake Avenue in Addison is open today with range time starting at just $11 per 30 minutes. Lessons and more available, Call (630)-233-7275 Ext.4. or visit Addisonparks.org. The PGA merchandise show was held last month in Orlando Florida, Golfers on Golf was there to look at the newest, the latest, the improved and the products on the shelves or coming to your pro shop or golf store soon. 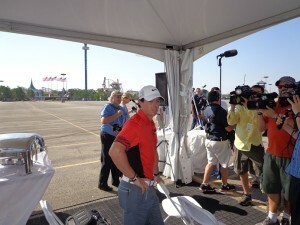 One of the major equipment companies at the show was Titleist. At the end of 2014 or into 2015 Titleist has released or updated it’s line of clubs on several fronts. The new Titleist 915 Driver, is expected to be the hottest new driver on the market this year. It’s success has already become apparent on the PGA Tour, with Titleist staff players Jordan Spieth and Jimmy Walker already winning with the 915 in their bag. Zach Johnson has also played well the new driver as well. A new concept called “Active Recoil Channel” technology is the key to the new line of 915 metal woods. 915 is not a driver alone, but a full line of fairway woods as well. The new technology produces a lower spin rate and a higher ball speed, producing more distance without sacrificing forgiveness. The 915 Fairway wood and Hybrid line. “This line of drivers are a real game changer for us,” said Dan Stone, Vice President of Research-Development, Titleist Golf Clubs. The 915 D3 features a 440cc pear shape that is forgiving, the 915 D2 is a 460cc for maximum forgiveness and a slight draw basis. Titleist fitting van, on the move. Look for it at your favorite golf facility. While the 915 line of drivers, fairway woods and hybrids are moving quickly. There is more to look forward to on the line of Titleist clubs. Bob Vokey the Titleist premier wedge designer has done some tweaks to his wedges this year, a new line of wedges is expected next year. Coming this April more additions to the Titleist Scotty Cameron line of putters. 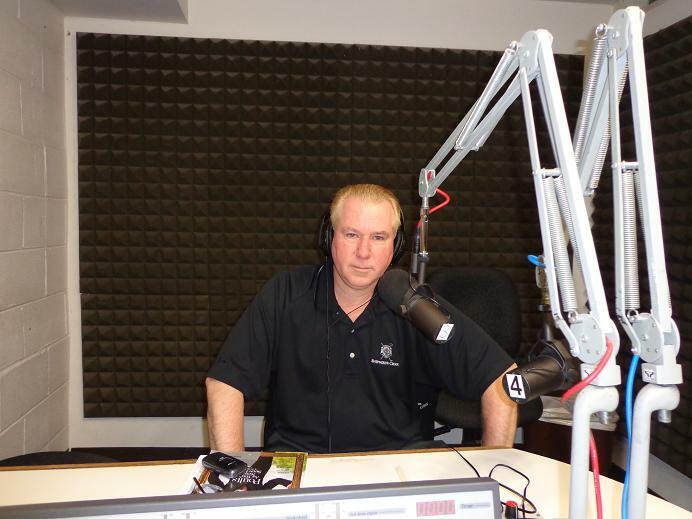 Click here to hear an interview with Titleist VP of Club Marketing Chris McGinley, who talks about the line of 915’s, What’s next for the wizzard of wedges Bob Vokey, and what Scott Cameron has created for spring of 2015. Coming up later this week, our look at the new Pro-V1 and Pro-V1x golf balls. For more information on Titleist and Titleist products visit Titleist.com. There are additional sites for Bob Vokey wedges and Scotty Cameron putters. 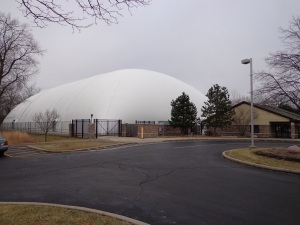 The Buffalo Grove Golf & Sports Dome, open tonight and all weekend long so you can improve your golf game. Rates start all weekend at just $12 for 30 minutes. Get a lesson, work on the driver or the short game. Located on Old McHenry Road in Buffalo Grove, call (847)-459-2321 or visit Bgparks.org. The story in the Philadelphia news outlets is that the BMW Championship is coming to town. In 2018 that would be. Aronimink will be the host course. Before 2018 as one story says, the BMW Championship will be held back home again in Indiana. That would be in 2016. The Good news is that after a year away in Denver, the BMW Championship is back in town at Conway Farms in Lake Forest. 2017 seems to be up in the air, even though the championship is likely to return to Conway Farms again. Golf fans in Chicago can only hope. While the Western Golf Association (WGA) has been quiet about the future sites, it’s believed that the reports are correct. In 2012 the BMW drove into Indiana and had a great year at the Pete Dye designed Crooked Stick Golf Club, crowds were big and the hottest golfer in the world and current World No.1 Rory McIlroy won. It doesn’t get much better than that. It meant a pile of dollars, for the scholars. 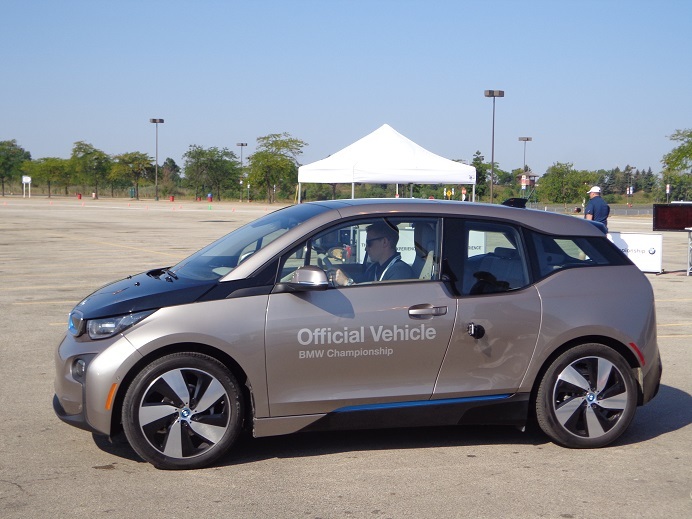 With the Ryder Cup headed into Chicago only a couple of weeks later, it made sense for the WGA and BMW to visit Indianapolis. The return there in 2016 isn’t a bad idea, and the last word was that the membership at “The Stick” just had to vote on it. It was also expected that the vote would pass easily. Indy is not a bad drive from Chicago either in a BMW or in any vehicle to watch the top 70 golfers on tour. Chicago to St. Louis is not a bad drive in a BMW either, when the championship went to Bellerive in 2008. With Cog 4 under renovation, that drive made a lot of sense as well. Rory McIlroy stopped off at Great America to test the new BMW I3, but lost a race to fellow tour pro, Gary Woodland. 2016 should be a fun return to Crooked Stick which is a great golf course. 2018 at Aronimink that has hosted a couple of PGA Tour events in recent years, would be a great place to play. The club is one of the great Donald Ross courses you will play anywhere. But as one local scribe told me, Philadelphia is pretty far east to host an event like the Western Open. Ah yes, the Western Open. 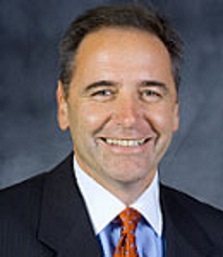 We miss you, in spite of the fact that BMW has been a pretty good sponsor and donor to the WGA. Perhaps someday at some level, there can again be a tournament called the Western Open. In the mean time you can’t help but wonder why the PGA Tour, moves around the BMW Championship but hasn’t been moving around all of the Fed Ex Cup playoff events. Credit the WGA for moving around to where they can make as much money as possible for the scholars, after all college tuition is pretty steep these days. For you parents out there, trying to put one or two kids through college. Imagine getting the bill for about 800+ kids like the WGA does every year. The Barclay’s moves around the New York City area, but Boston stays put, so does Atlanta. If the PGA Tour really wants to have it’s product in more cities that don’t have a regular tour stop, it would be nice if they would move around some other events besides Chicago’s PGA Tour stop. If the BMW has to keep driving around, it would still be nice to see it drive around Chicago a little more often. Can we get two out of three, how about three out of four. THE INNISBROOK RESORT IN PALM HARBOR FLORIDA (L) AND THE HAMMOCK BEACH RESORT IN PALM COAST (R). 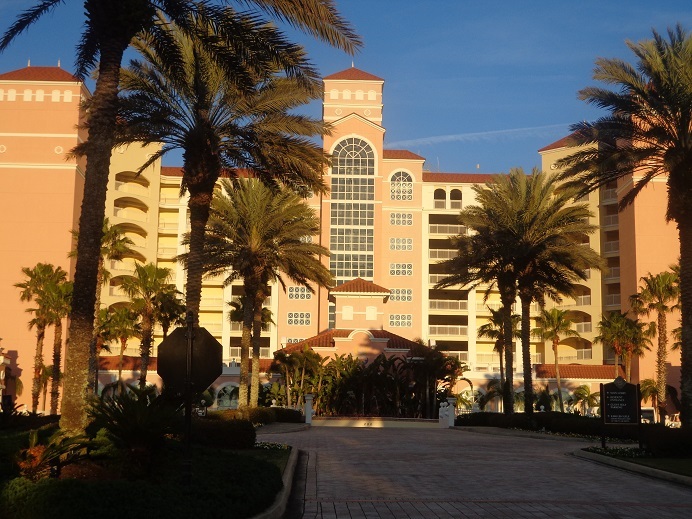 Two great golf destination getaways in Florida, it’s time to golf away. See Innisbrookgolfresort.com or Hammockbeach.com. Multiple Courses at both locations. BY: Rory Spears, Editor & Director of Content. They are on the floor in Orlando at the PGA Merchandise Show. They are in our own backyard here in Batavia Illinois, and Tour Edge is really starting to expand. Whether it’s Tour Edge clubs or the Exotics Line, golfers can find the line of clubs that suites their game. When you look at the new Exotic E8 irons, you see a club that is giving the player both power and control. The E8’s have the deepest undercut cavity design on the market. The cavity gives the club a free-standing face that is expanded towards the sweet spot. It gives those shots from off the tee, in the fairway or rough a better chance of getting closer to the pin. The high density tungsten weights placed in the heel and the toe of the club, help stabilize the club on contact for swings away from the sweet spot area. The Tour Edge Hot Launch Iron. The E8 irons do carry the Tour Edge lifetime warranty, 30-day play guarantee. Prices start on the E8 irons at $599.99 for a 4-AW KBS 90 Tour Steel. E8 drivers give the golfer a club with distance and speed. The club is adjustable leaving the player with options to tune in their specifications for better power and control. The E8 driver comes in two different options. The E8 and the E8 Beta. The E8 has a 460cc titanium head with improved weighting. E8’s Center of Gravity is located slightly lower but closer to the face, for higher launch, faster ball speed and less spin. The Beta driver has it’s CG located higher and more forward, it produces a more penetrating, with increased ball velocity and less spin. The 440 cc low-spin club face, will give the golfer a more boring ball flight, great on the windy days. The Tour Edge Hot Launch Driver, with the Exotic Irons on right. Click here to hear an interview with Tour Edge spokeswoman Joanne Miller, for more information on the full Tour Edge product line that includes Drivers, Fairway Woods, Hybrids, Irons, Wedges and Putters. The E8 drivers come with a matte black finish, that reduces glare at address. The shaft options are the popular Fujikura Pro/Pro Tour shaft or the Mitsubishi Bassara E-series. 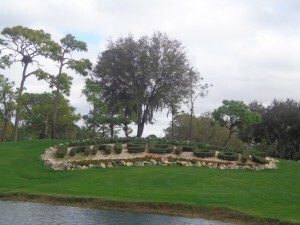 For more information on all Tour Edge products, please visit touredge.com, or call (800)-515-3343. 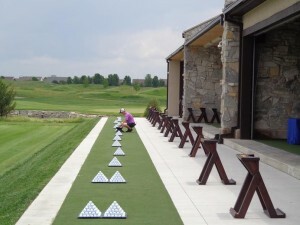 The award winning Buffalo Grove Golf & Sports Center is open today from 9 AM to 10 PM, today enjoy part 1 of a 2 part class on golf fitness with Jeremy Anderson & Jon Williams see bgparks.org for more information or call (847)-459-2321. Tonight is ladies night at Links & Tee’s Golf Dome on Lake Street in Addison, call (630)-233-7275 Ext 4 for more information or visit Addisonparks.org. BY: RORY SPEARS Editor & Director of Content. Follow Rory on FB, Linkedin and Twitter @GogBlogGuy. There is already a lot going on in the world of golf this week. Where to start ? Okay I will make it the first tee box, how about that. First up congrats to long time golf writer Tim Rosaforte on breaking the story last night about Davis Love III getting named again as captain of the 2016 U.S. Ryder Cup team at Hazeltine in Minnesota. The official word comes from the PGA of America next Tuesday on the 24th. When the PGA learned of Rosaforte’s comments, they quickly responded with a no comment. That means Roseforte nailed it right down the middle in breaking the story. It didn’t take long for the debate to start on whether bringing Love back was the right choice. Love pretty much did all the right things until Sunday, when his team got outputted by the Europeans in a record comeback. if Love made any mistake it was not putting out Phil Mickelson and Keegan Bradley on Saturday afternoon. Had those players who were rolling through the first three sessions gone out Saturday afternoon and earned a point, the Sunday results would not have mattered. After the defeat on Sunday Love might have been a little, Oh Well no big deal in the post matches press conferences. Love was like, Oh well, a few putts didn’t fall for us that fell for them and a few matches flipped late. Better luck next time. With the current status of Team USA in the Ryder Cup matches, Love will need better this luck this time around. If he loses again, I would expect to see Paul Azinger in 2018 oversea’s. Fred Couples is another name we keep hearing, but Freddie should stay with his laid back style at the Presidents Cup, where the atmosphere is just that, laid back. I would hope Love III would make Minnesota native Tom Lehman one of his assistant captains. BRANDT SNEDEKER, is he back ? Another win for him at Pebble Beach and Sneedeker as Tom Watson would say, looks healthy for the first time in a while. Plus his new $20 dollar driver seems to be working well. Then again the time he spent with Butch Harmon didn’t seem to hurt either. Here is Snedeker’s post tourney presser at Pebble Beach. Maybe Snedeker, Jason Day and Rory McIlroy have become the Augusta National front runners for a green jacket in 2 months. TWO GUYS who are not front runners for the winners circle, are Tiger Woods and Phil Mickelson. Woods has stepped away from the game again for a period of time, and only he knows when he will return. There are so many issues with Woods now, it will take him some time to sort it all out. But do expect to see him at Augusta. Mickelson isn’t hitting the ball bad, but needs to make some putts. Butch and the short game guru’s need to check him out. Illinois Big Ten Match Play Champions again, photo courtesy of Illinois golf and sports department. Just win baby ! That’s what the men’s Illinois Golf Team is doing. Coach Mike Small has the team rolling and the entire team is taking turns stepping up when called upon. The Illini defeated Purdue, Maryland and Michigan in route to the title. This win will help Illinois stay No.1 in the NCAA ranking for a while longer. Let’s hope Illinois is still No.1 in late May. Freshman Dylan Meyer scored the title clinching point against the Wolverines, as the Illini won the title for the second time in three years. Northwestern ended up finishing in 5th place. 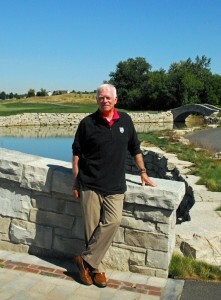 Lee Trevino will appear at the Chicago Golf Show in Rosemont, on Saturday Feb. 28th. He will be on the main stage with his friend David Graham at 11 AM and at 2 PM. The Chicago Golf Show Runs Feb. 27-28 and March 1st.Visit Chicagogolfshow.com for ticket prices and more information. 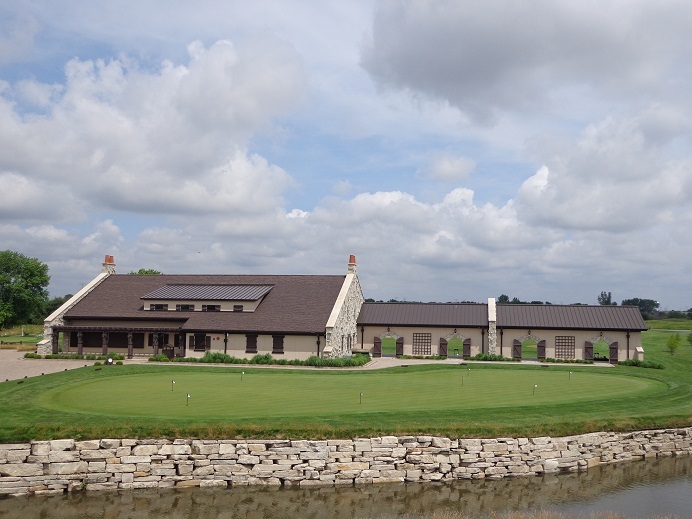 The Gog Blog returns tomorrow after a tour of the new Mistwood clubhouse and the MCQ’s golf some in Bolingbrook, where more renovations are taking place. RS.